Storey Publishing, LLC, 9780882661018, 176pp. Make your own handcrafted leather vests, hats, belts, and wallets! This in-depth guide shows you everything you need to know to successfully tan and work with furs and leathers. 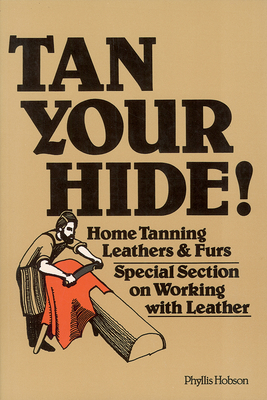 With practical advice on selecting appropriate hides, tanning tools, chemicals, and making your own dyes, Phyllis Hobson also provides an overview of basic leatherworking techniques and easy-to-follow patterns for a variety of fun projects. Discover how easy, enjoyable, and cost-effective it is to craft your own beautifully unique and durable leather products.